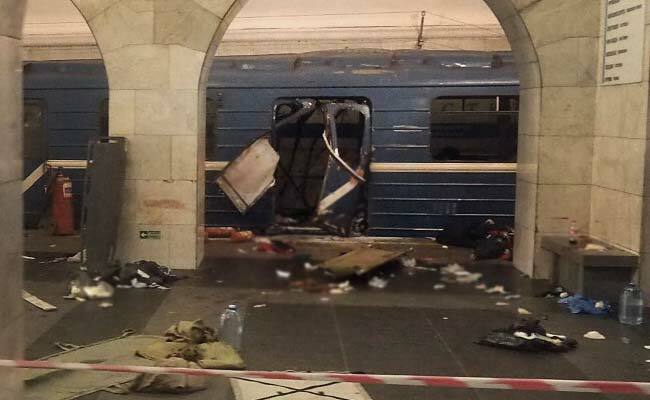 Moscow: Six people in St Petersburg and two others in Moscow were detained for suspected involvement in a deadly blast in the St Petersburg metro on Monday, the Russian Investigative Committee (RIC) said in a statement. An explosive device similar to the one found at the Ploshchad Vosstania metro station in St Petersburg, along with firearms and ammunition, was seized at the detainees' residences, said the statement on Thursday. The RIC offered names of the eight suspects but did not disclose their nationalities or whether they have links to terrorist groups, Xinhua news agency reported. A blast took place on Monday afternoon in a train carriage in the tunnel between metro stations Technological Institute and Sennaya Ploshchad in St Petersburg, Russia's second largest city, killing 14 people and wounding dozens. The RIC said on Tuesday that 22-year-old Akbarzhon Dzhalilov carried out the deadly bomb attack, and he left an additional bomb at the Ploshchad Vosstania station, which was defused later by investigators. Dzhalilov himself died in the blast and he was widely-reported as a native of Kyrgyzstan. On Wednesday, six Central Asian nationals were detained in St Petersburg on suspicion of facilitating terrorist activities and recruiting their compatriots for the Islamic State and other terrorist groups. Their connections with Dzhalilov are still under investigation.